OMG Posters! » Archive Giveaway: Win a Print of Your Choice from Pwints.com - OMG Posters! To thank everyone for the huge support during Pwints.com’s first few months of existence, I’ve decided to give three lucky readers a free print of their choice. Only multi-print sets are excluded. Please take a moment to browse the selection at Pwints.com. Please only comment once, I will be checking, and you will not win if multiple entries are found. If you don’t see your comment right away, please be patient, it is likely awaiting moderation. The winners will be announced tomorrow (Thursday) morning. 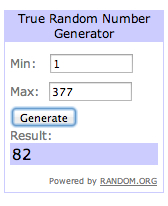 Using the Random Number Generator at Random.org, the lucky numbers were determined to be 82, 128, and 152. Congratulations Jeff, Lauren, and Jon, you’ve been contacted. 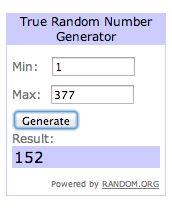 Thanks to everyone for entering, and for all of the support with the new site! 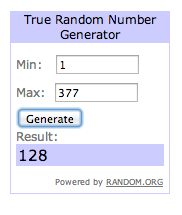 Hope it’s not too late to enter! Plenty of wall space available haha! Several fun designs on the site. Would love to have one for my son’s room. Thanks! just wanna say thanks for creating and maintaining this awesome blog. Thanks to you I have been exposed to many new artists and an art form I wasn’t aware was so amazing and huge. I am now addicted to poster art and collecting! Look awesome in my son’s room. Great to get the little ones appreciating art from the start. Wonderful idea. Nice to spread the love too!